The Rosetta mission’s dramatic rendezvous with comet 67P/Churyumov-Gerasimenko captured the attention and imagination of the world earlier this month. It was thrilling to see an ambitious 10-year program – spanning billions of miles traveled, with four separate gravity assists from the Earth and Mars – finally enter orbit around a comet that likely traces its history back to the birth of the solar system. Though its developers had scientific goals in mind with their mission, Rosetta also represents an important step forward for the prospects of space mining. When Rosetta deployed its Philae probe, the first-ever vehicle to land (or rather dock) on the surface of a comet, it was cause for cheer from three intersecting communities who all have a stake in space mining: science, exploration, and commercial interests. 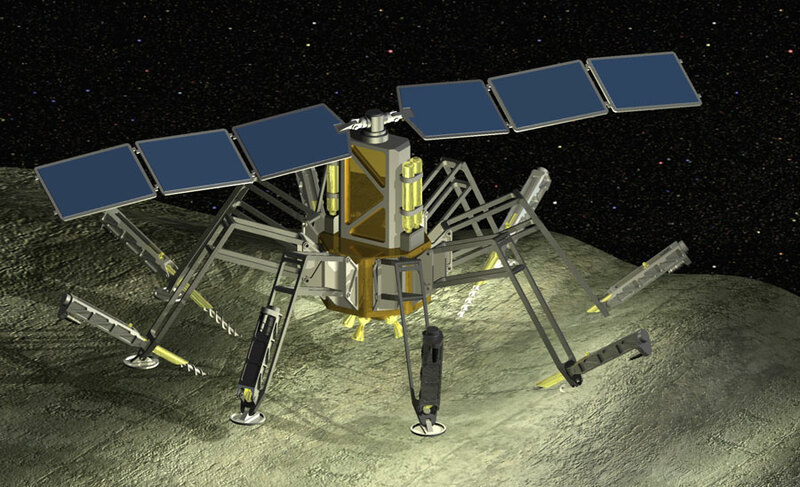 As I wrote in 2013, there are two overlapping demands for space mining, and both are growing. The first demand is the ability to “live off the land” during exploration via in-situ resource utilization (ISRU). Extracting resources from the Moon and asteroids will be essential for further space exploration and colonization. At some point, it’s far more efficient to gather local resources, especially water for life support and propellant, than to bring all necessary materials from Earth. For this purpose, Honeybee Robotics has been developing water extraction and processing technologies for NASA that could be deployed on Asteroids, as well as Mars or the Moon (Figure 1). Such systems have been evaluated in vacuum chambers and show it is possible to mine hundreds of liters of water in a day. Figure 1: Honeybee Robotics Asteroid In-Situ Water Extraction System. ISRU currently factors most heavily into advancing scientific exploration, but further into the future it’s probable this approach will also be exploited for commercial missions, such as for-profit space mining. Commerce represents the second driver for space mining, gathering rare materials such as precious metals from asteroids for use on Earth. Companies such as Deep Space Industries and Planetary Resources have announced their intent to make this a reality, and they have assembled teams with enough track record, technological know-how and business savvy to take them seriously. Rosetta’s target was far more difficult to reach than most asteroids we believe will be lucrative for both exploration and commercial purposes. After such a success, the momentum for future unmanned (i.e. robotic) missions feels tangible. Of course, recent headwinds are also a reminder that every single aspect of operations in space is difficult. The landing of the Philae probe shows the “last mile” challenges of actually sampling and manipulating objects in microgravity. A hammering device on the Philae lander, called MUPUS, showed that the comet surface is much harder than anyone anticipated (comets aren’t a fluffy ball of snow anymore!). And the loss of Planetary Sciences’ Arkyd-3 technology demonstration satellite, riding as a secondary payload on a recent failed ISS cargo resupply mission, shows that no part of a mission can be considered “routine”. In fact, that week saw another failed mission when the Virgin Galactic’s SpaceShipTwo crashed in Mojave, CA. This was certainly a significant setback for the commercial space industry, but “failures” are just part of the space business and are inevitable when trying to tackle immense challenges. This leaves us hopeful, but also recognizing that the effort to make space mining a reality will require a sustained investment of time, energy, and funding. This is where NASA is stepping in to do what it does best, developing an ambitious Asteroid Redirect Mission (ARM) that will provide both a stepping-stone to sending humans to Mars, and a demonstration of technologies needed to manipulate and sample asteroids. ARM will see an unmanned spacecraft launched around 2019 redirect an asteroid into cislunar orbit, where astronauts will then rendezvous and perform sampling and analysis tasks in microgravity. As the ARM program takes shape, commercial companies will continue to identify target asteroids for mining using surveying satellites in low Earth orbit. To support ARM, Honeybee Robotics is developing technologies to manipulate asteroids and sample them for further characterization. This includes the NanoDrill Coring and Caching system to capture and seal asteroid samples with a small, low-power drill; the Autonomous Boulder Liberation technology (lead by SSL/MDA Robotics) to lift boulders off Asteroid surfaces so they can be moved to favorable orbits for harvesting; and finally the ShotGun system (Figure 2) for gathering geotechnical data of asteroid surfaces using hundreds of small, spherical impactors. Figure 2: Honeybee Robotics’ ShotGun system is designed to impact asteroids’ fine regolith and boulders, providing valuable geotechnical data critical for resource extraction. These kinds of technology will be critical for future “prospecting” missions, before large-scale mining. And they have the dual purpose of serving exploration and commercial interests. 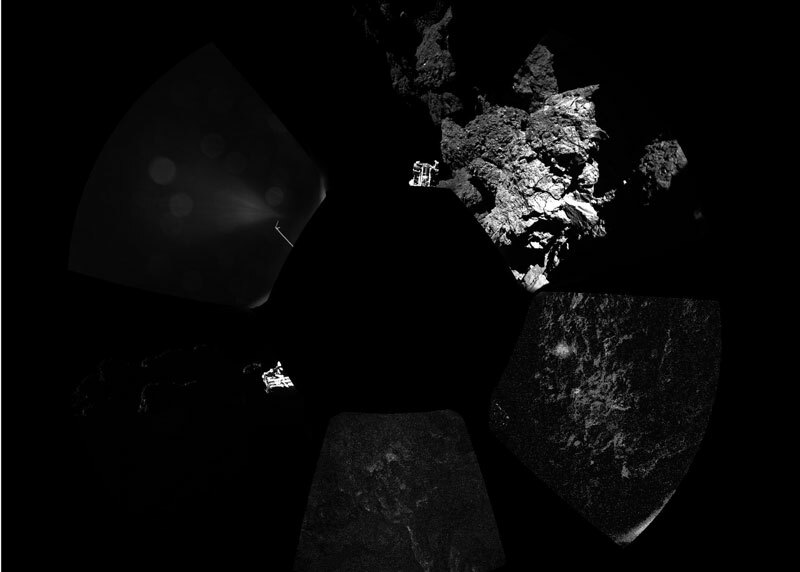 It’s been a thrilling month thanks to the stellar work of the Rosetta team. Even if it wasn’t their goal, they have given the space mining industry a real boost.